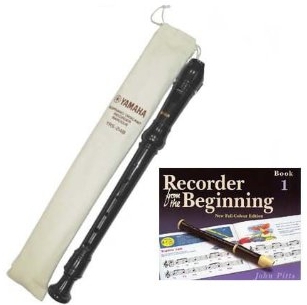 The book explains how to correctly hold the recorder. There is a wide variety of well known tunes for your child to learn. As the lessons progress the book clearly shows which combination of holes need to be covered to play a given note. If your child is learning to play the recorder, you might want to invest in some ear plugs for the early sessions, until your child gets used to playing the instrument.